This captive pair of giant whiptails lived for several years. Seemingly first reported in 1995, this beautiful sun worshipper, Aspidoscelis motaguae, had by then probably been established in Florida for at least 20 years. Strangely, although I recall several other teeids (even the seldom imported little 4-toed whiptail, Teius teyou) figuring prominently in the American pet trade, the mention of A. motaguae brings back no memories at all. That this species has now been present for decades in several small Miami-Dade County populations indicates that it figured to a greater or lesser degree in the inventories of some importers. A beautifully colored lizard, males of the the giant whiptail attain a total length of 13 inches. Females are smaller and a bit less colorful. Males are olive-slate on the upper sides. This shades to gold dorso-anteriorly and to blue ventrolaterally. Gold flecks are liberally scattered over the dorsum. The flecks become white and elongate to vertical bars ventrolaterally. Although certainly not flamboyant, the colors and patterns of this lizard are pretty and memorable. The eytomology of the scientific name commemorates the upper Motagua Valley of Guatemala, a portion of the natural range of the giant whiptail. Overall the lizard ranges southward from Oaxaca, MX to Guatemala, Honduras and adjacent Nicaragua, and El Salvador. Like many, if not most, other teiids, the giant whiptail is omnivorous. Although its diet leans strongly toward invertebrates, it also readily consumes blossoms and berries. We are fortunate to have a nice population of Red Milk Snakes (Lampropeltis triangulum syspila) in several western Kentucky counties. In our region it is possible to cruise roads and find these snakes from the time when it gets dark to the very wee hours of the morning prior to dawn. While we try to cruise under conditions that we believe are prime, often even then it is possible to not find any of these snakes…even when other snakes are being found. The random offerings turned up by road cruising is something that's problematic and usually we prefer to have a little more control over the hunt when possible. So we also deploy artificial cover to help in locating these snakes. We have found that these snakes are attracted to layered sheets of metal, so if you are having trouble finding them, try stacking your metal up. Red Milks in our area live in forested habitat, but like all reptiles they utilize open areas where the rays of the sun reach the surface. We have found layered metal set out where the canopy is open works very well. It is a sight to behold when you peel back a sheet of metal and see such a beautiful high-contrast snake sitting on dull colored metal of the earth tones of the soil underneath. Locating a Red Milk Snake in Kentucky makes any good day better and turns even the worst of days into a nice day for guys like myself. This week I want to share my formula for taking semi close-up pictures of snakes. I like to use these kind of pictures to make business cards, post cards, calendars, and other promotional materials. When trying to sell a snake the buyers want to see as much of the body as possible, so these are not the best option when trying to sell individual specimens, but semi close ups are effective in promoting projects in general. When I take these kind of photos I want for the entire head to be in the picture. I also want the entire frame filled by the body of the animal with as little, “non-snake” materials as possible, especially around the edges of the frame. It is also important to capture as many interesting features of the specimen as possible. You want for everything to be in crisp focus if possible. I took several semi close-up pictures and posted them on social media recently. The picture in this blog got more views, likes, and comments than all the others combined so I would like to try to explain why. At the end of the day the subject needs to grab peoples attention, and this snake certainly does. Many people in our hobby are sick and tired of seeing Ball Pythons, but even they liked and commented on this picture. The entire head is in the photo and it is in crisp focus, especially the eye. The frame is filled with the body of the snake, with only a little bit of mulch barely visible in perhaps 5% or less of the total field. The Paradox condition of this snake is what makes it interesting, and the semi close-up format really shows off the layering of the pigments. I was able to get some of the additional Paradox markings in the picture with the coils above the head. This snake is also a Super Genetic Banded morph, and I was able to get some of the classic pattern associated with this gene in the coil below the head. I plan to use this photo in my new business cards, on my website banner, and in a new updated kingsnake.com banner ad. I do not mean to come across like some kind of professional photographer, because I am not. In fact, when I look at this picture I see all kinds of things I wish I could have done better. I am just a regular guy trying to do my best and improve my picture taking. I hope that some of what I have shared here will give you ideas on how to improve your pictures as well. This is an adult female northern brown basilisk. Today (2016) this 2 foot long lizard with the cranial crest (males) and strongly defined vertebral and mid-caudal ridge are locally distributed in Palm Beach and Martin counties are now common in Broward and Miami-Dade counties. The predominant color is brown. Yellow facial and dorsolateral stripes (the latter best defined anteriorly) are usually easily visible. A second yellow stripe, sometimes interrupted, parallels the upper jaw line and continues rearward to the shoulder. Darker crossbands, best defined above the uppermore yellow stripes may be present. Females are smaller than the males, lack the cranial crest but do have a lobe on the back of the head and the stripes are more faded or even absent. Both sexes will be darkest and most poorly marked when cold, at night, or when frightened. 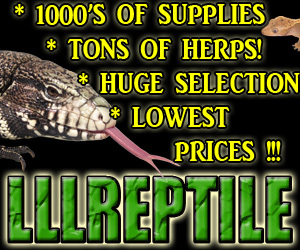 Insects, small frogs and other lizards, form the diet of these pet trade lizards. The species native range is from northeastern Mexico to northern Colombia. Continue reading "Northern Brown Basilisk"
The pale yellow dewlap is a hallmark of this anole species. exceeded in size only by the comparatively immense knight anole, A. e. equestris. The large-headed anole (the head of adult males is noticeably enlarged) is a brown species, sometimes pale brown, sometimes rich, often darkest vertebrally, and equally often with a very pale (sometimes greenish) lateral stripe on each side. The stripe may be thick, thin, or absent and may or may not be outlined with a narrow edging of darker pigment. The male’s dewlap is pale yellow to pale gray. The large-headed anole has been established in Florida since 1967. The first introduction was deliberate as was one in 1986. Pet trade escapees are probably responsible for several other small populations.The lizard is no longer present at the original release site but continues to exist in relatively small numbers at several newer locales. It is at one of these latter that Jake and I often stop to get our periodic “cybotes-fix.” (by the way, the species name is pronounced ki-boat-ees, not sigh-boat-ees). And sure enough, they were there. A small population, before we left Jake and I were both speculating that it may soon become even smaller for perched quietly on an upright tree trunk we spied a 14 inch long knight anole as well. This latter looked fat and healthy and since lizards figure prominently in the diet of the knight anole we pondered whether this population of large-headed anoles would soon become even smaller? I guess we’ll know after a couple of future checks. Continue reading "The Large-headed Anole in Florida"
The green and black color of this beautiful newt blend well with the aquatic vegetation. Newts, a subset of salamanders in the family Salamandridae, may be found in both the New and Old Worlds. The males of many of the Old World taxa develop nuptial finery (seasonally present and often exaggerated caudal, nuchal, and vertebral finnage) that, no matter the season, no New World species ever has. And of these Old World salamandrid dandies, IMO one of the most beautiful is the black on forest green (more rarely the black may predominate) marbled newt, Triturus marmoratus, of Spain, Portugal, and France. Black on green may sound flamboyant, and indeed it is when seen in a home terrarium or aquarium. But when at home in the dappled sunlight and submerged vegetation of a woodland pond, the color combination is a surprisingly effective camouflage.